Below are our services provided by our friendly, knowledgeable staff: We provide 24-hour emergency service. Our vehicles are equipped with the latest tools and computerized machines so as to provide fast and professional service. We specialize in emergency services such as auto opening, key replacement, and ignition repair. We are also proud to be an independent contract station of AAA. All of our vehicles are equipped with electronic map systems, making it easier and faster for them to find our customers. Our experienced dispatchers know and understand the areas streets so they can dispatch the closest technician to save you time. 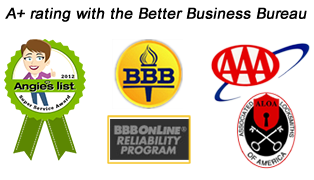 At ABC Locksmiths, we are proud to be an AAA independent contract station. We are committed to fast and efficient service for vehicle owners in the Las Vegas, NV and Henderson, NV areas. For this reason, we have experienced dispatchers who are able to send the nearest dispatcher to your location. In addition, we have electronic map systems in our service vans to help our locksmiths find you as quickly as possible. When you need a locksmith, you can rely on the professionals at ABC Locksmiths for fast, professional service. We have served the local area for more than 20 years and remain committed to superior service on every job. Give us a call today for all your automotive locksmith needs.